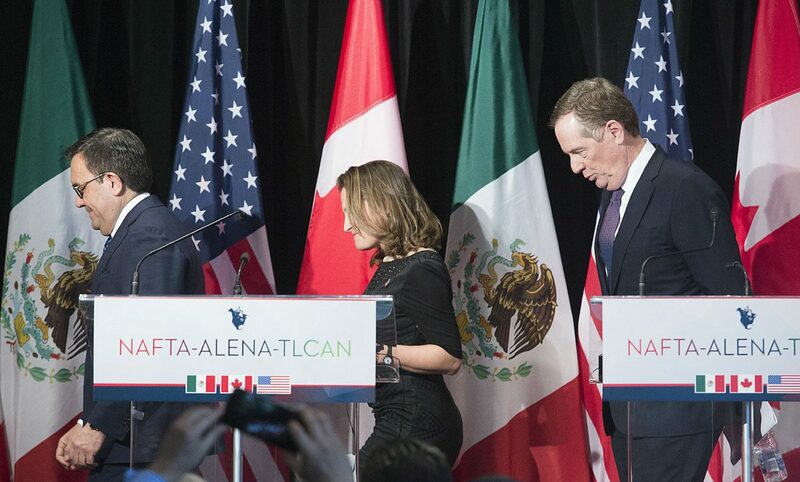 As leaders from Mexico, Canada and the United States hammer through the seventh round of negotiations for the North American Free Trade Agreement (NAFTA) in Mexico City this week, our U.S. trade representatives would be wise to keep in mind a new study by the Texas comptroller that show how Texas’ economy has grown and benefitted from the manufacturing industry. Granted, the study admits that the number of jobs in Texas manufacturing have decreased somewhat as technology in the manufacturing industry has increased. But it also shows the significant economic gains our state has enjoyed that are directly attributable to manufacturing. The report, “Manufacturing in Texas,” by Texas Comptroller Glenn Hegar, found manufacturing has greatly boosted our state’s gross domestic product. “Texas manufacturing contributed $218 billion to the Texas’ gross domestic product (GDP) in 2016, an amount larger than the entire economy of Portugal,” the report found. While this type of bigger-than boasting is common Texas-speak, it’s nice when it’s actually true and not just hyperbole. “The industry stimulates employment in related sectors and services and remains a vital spark to innovation; many advanced manufacturing industries invest heavily in scientific and technological research and development,” the report states. Economic stimulators are the golden geese that every nation strives for. Realizing that the current 845,000 direct manufacturing jobs in Texas has helped to stimulate another 2.2 million indirect jobs shows the fiscal impact of this industry. Think of the economic potential our manufacturing companies have yet to bring. And imagine the fiscal impact if NAFTA is not successfully renegotiated — particularly to the Rio Grande Valley, which is home to many maquiladoras on both sides of the border. That’s the real risk of these stalled talks. And that’s why so many people here are rightfully worried after the U.S. trade negotiator handling “rules of origin” for automobile manufacturers, Jason Bernstein, was abruptly called back to Washington D.C., earlier this week. Mexican officials have balked at a U.S. proposal that would increase the rules of origin for automobile products of the three NAFTA countries. Under the original 1994 agreement, 62.5 percent of the net cost of a passenger car or light truck must originate in the NAFTA region to avoid tariffs. But President Donald Trump wants that raised to 85 percent and he also wants to ensure that half the total content comes from the United States. Time is running out to agree on a new NAFTA before a Mexican presidential vote and U.S. mid-term congressional elections later this year. And reports that Mexican President Enrique Peña Nieto has indefinitely postponed a trip to D.C. to meet with Trump after the two had a contentious phone call last month during which Trump brought up Mexico paying for a border wall, certainly don’t help matters, either. In Texas, where everything is bigger, there’s a lot riding on these talks.